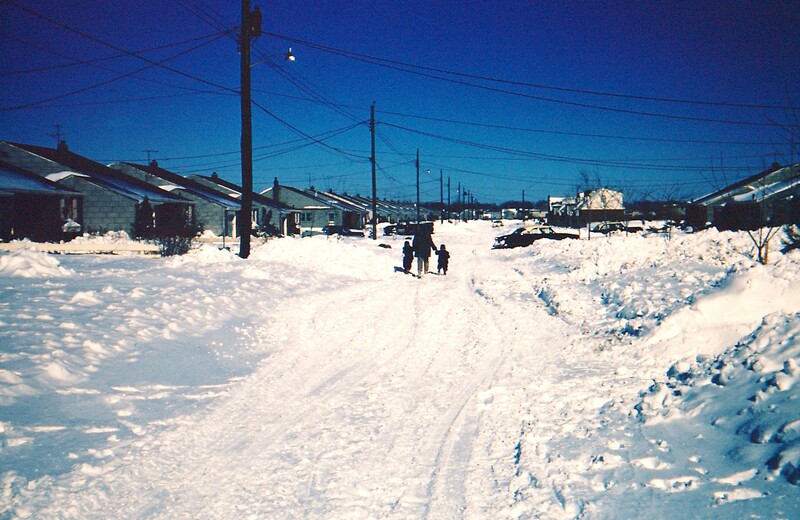 James Riis, Marilyn Matthews Riis, Richard Riis, Ocean Avenue, Massapequa Park, NY, January 20, 1961. Dad took this photo. I love the vast stillness of the landscape and the brilliance of the clear blue sky that belies the heavy skies and whipping wind and snow of only hours before. The northeastern United States had been hit with a massive nor’easter on the eve of John F. Kennedy’s Presidential inauguration, with more than ten inches of snow dumped on Long Island. Wow! I remember that storm. I was in third grade, and we got a few days off from school.